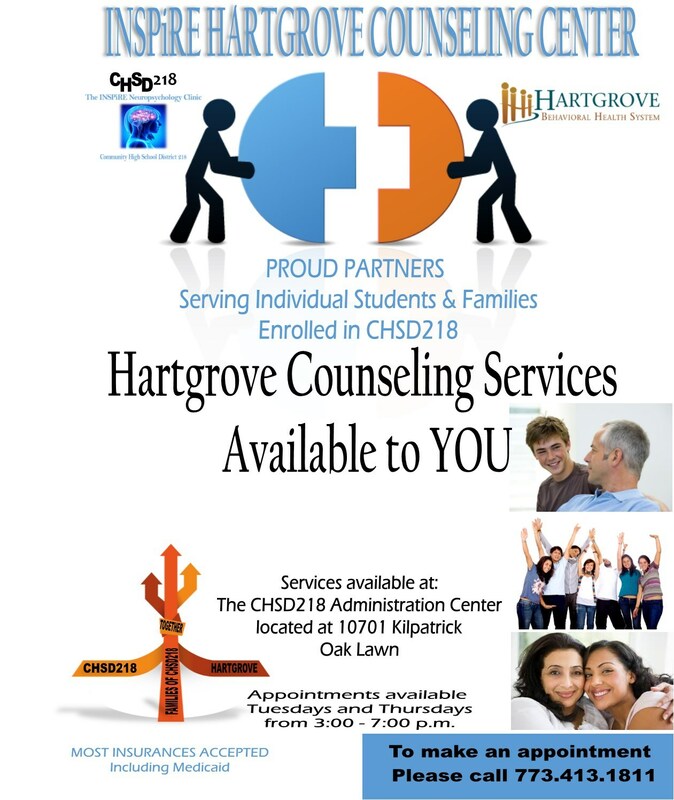 School social work services are available to all students in Community High School District 218. The school social workers serve as liaisons between the home and the school. They also provide parental education and counseling as appropriate, in relation to student needs. Referrals or requests for services may come from the student, parent, or school personnel. The role of the social worker within the school setting is to provide counseling and support to students who may be experiencing difficulties that interfere with their social, emotional, or academic growth. Assistance may be provided in the form of direct contact with the student, with the parents, with school personnel, or with community agencies as necessary. The goal of school social work services is to provide students with the emotional support necessary for academic and lifelong success. Most services provided are short term. If a student requires long term therapeutic cervices, the school social worker will work with parents and guardians to help connect with an appropriate community agency.